University of Ottawa alum Eric Vani (BA ’97), known professionally as Rise Ashen, has been nominated for a Juno Award in the Indigenous Music Album of the Year category. He has always been fascinated by the intersection of contrasting music styles, so it’s no surprise that his recent project, Debut, combines modern and traditional sounds. 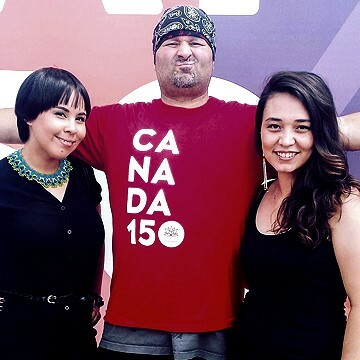 The Ottawa producer, musician, DJ and dancer records as Silla + Rise with Nunavut throat singing duo Cynthia Pitsiulak and Charlotte Qamaniq. The Gazette sat down with Rise in advance of the 2017 Juno Awards ceremony, taking place on April 2. I played guitar and bass in a few punk bands in high school, and since I was the one who had the tape recorders, I just began and figured it out as I went. The quality was pretty poor, but I learned a lot doing it. I really wanted to get a formal education in this sort of thing, so after I finished my uOttawa degree, I applied to Fanshawe College to study music recording. But my early experiences in high school were essential. The act of creating within limitations is wonderful because it channels your creativity and takes you in directions you wouldn’t necessarily have gone if you’d had everything. What kids are doing now is crazy, though! They have access to a huge array of tools on a laptop, and I’m very curious about how young people are using this technology and how they hear things. Debut combines traditional Inuit throat singing with a modern dance floor beat. How did that come about? Rise Ashen with Cynthia Pitsiulak, left, and Charlotte Qamaniq, throat singers from Nunavut who perform as Silla. The three are nominated for their album, Debut. My fascination with music lives at the crossroads of technology and history. Whether it’s blending punk and techno, electronic and jazz, or Indigenous music and hip hop, all of it is just a reinvention of what came before. As musicians, we have to respect the ancient traditions. I started collaborating with Cynthia and Charlotte a while back when we did a Nature Nocturne show together at the Museum of Nature. After lots of practice and a few other gigs, we eventually had enough material to put together a full-length album. The experience has been amazing. Throat singing is an incredible tradition that shares many similarities with hip hop, specifically in terms of its duelling aspect. Throat singing is really a battle between the two women—and whoever laughs first loses. How does it feel to be up for a Juno? It’s super exciting to be nominated for a national music prize, although part of me feels strange about it because I’m this non-Indigenous person being nominated for an Indigenous award. I have felt some push back for me being a part of this, and I totally understand. It’s a brutal history that we’re still living in – this stuff is still going on. But we’re literally just three musicians jamming together with me making my beats, which are honest and true to what I do, and Silla throat singing, which is honest and true to what they do. I like to think we’re contributing to reconciliation by doing this. The language of music is universal, and we’re having conversations that other people aren’t having, so I think it’s positive and a step in the right direction. I’m just trying to do my part while being respectful of Indigenous culture. When life gets busy, music is often the first thing to get pushed aside. How do you make time to be creative? It’s always the first thing to go because there are no emergencies in music. Ambulance drivers, police officers and surgeons have emergencies, but as a musician, you can always find another time to practise your paradiddles. And, as parents, it seems like our kids are constantly at risk of killing each other or themselves. I used to think my mom was overreacting, and I would always tell her not to worry so much, but that’s just what we do as parents. Being self-employed helps me find time here and there for music. Every day I’ll find three or four blocks of time where I can come downstairs to my studio and focus 100%. I’m also really into body practices such as kung fu, yoga, weight training, dancing and MovNat, all of which help me cultivate energy and stay focused. I try to do these practices at least 30 minutes a day. What’s next for Rise Ashen? 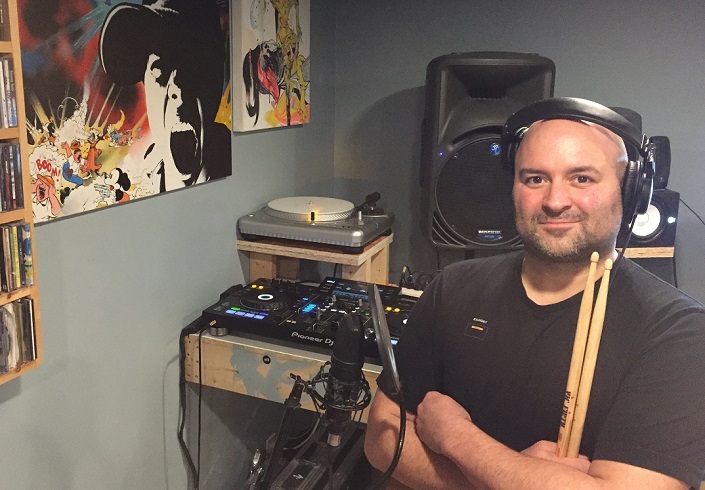 Alongside his ongoing projects, he’s working on some comedy skits about German music producers and continuing Gone Monk, an interview series with Ottawa music legends. 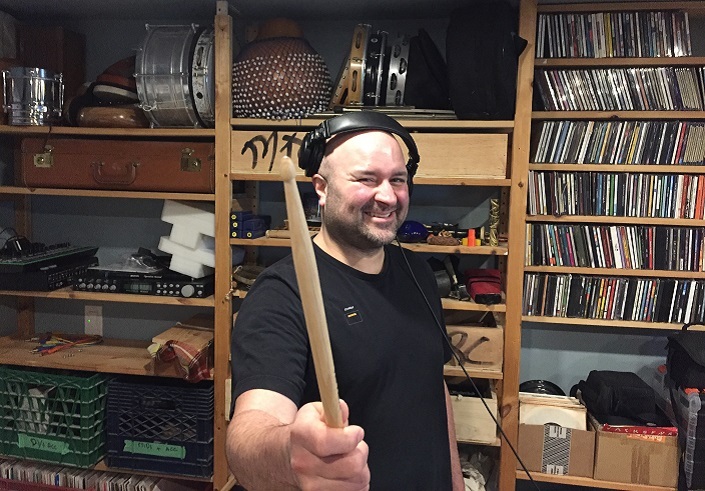 He’s also recording a new Silla + Rise album, producing a new Rise Ashen house record, producing yoga music with the Bhavantu Collective and involved in a handful of other projects. Watch a recent interview with Silla + Rise produced by Rise’s sister, uOttawa staff member Sonia Vani (Faculty of Social Sciences).